Early Tuesday morning, I saw much of my twitter timeline in complete hysteria about Kendrick Lamar’s verse on Big Sean’s new single “Control,” which also featured Jay Electronica. The exchanges on twitter pointed to speculation as to whether or not Kendrick Lamar’s verse was a diss and thereby waging a new hip hop beef. It mostly began with Lamar’s stately declaration, “I'm Makaveli's offspring, I'm the king of New York/ King of the Coast, one hand, I juggle them both.” If anyone remembers “New York, New York” by Snoop Dogg and Tha Dogg Pound, the video showcased these West Coast rappers stepping over and sitting atop replicated New York City buildings. Then, it was the ultimate form of disrespect given the rivalry between East and West rappers. 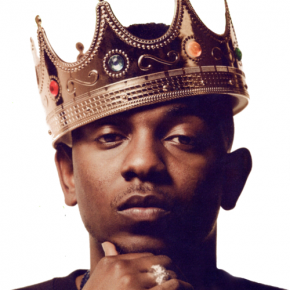 For some listeners, Lamar’s verse signaled a 2013 equivalent, but he didn’t stop there. He went on to namedrop, citing himself, at the expense of “Biggie” in one of JayZ’s most well-known lyrics in “Where I’m From” “who's the best MC? Kendrick, Jigga and Nas” as well as mentioning Eminem and Andre 3000 in his A-List of rappers and advising the new breed to simply “don't get involved.” And yet, what is most notable is his namedropping of his contemporaries, those he considers “homeboys…the same n___s I’m rhymin’ wit,” but also reminding them that he’s a contender in the sport of hip hop. Of course, all the weight of verse and folks were concerned about what rappers didn’t get mentioned. That’s beside the point and I commend Kendrick Lamar for inciting a new challenge. To some it was a diss, but for others like Leslie Rosales, it was “a call to action.” I agree. Was it the best verse ever? No, but it was a clever verse and if for nothing else it does “show and prove” that Kendrick Lamar is a TRUE EMCEE. That verse is supposed to make some rappers uncomfortable, but more than that it should motivate rappers serious about their craft to reach their highest level in the game. This is also a teachable moment to discuss how context and historiography are critical to understanding rap as an art form and its relation to African American poetry and oral traditions because it is a “toast” or a lyrical/verbal pronouncement of his dominance and skill. Yet, because somewhere in the dilution of Hip Hop/Rap folks have lost sight of or simply ignored for whatever reasons what it means to be a true lyricist and emcee, which was predicated on one’s ability demonstrate lyrically and move the crowd. Whatever the case it’s time for the real emcees to step to the mic and drop it or get dropped. Danielle Hall is a contributing writer for the Cultural Front.